Idealmente situado, em frente ao mar, do terraço pode desfrutar de uma vista espectacular.Não precisa de conduzir para ir a praia, é só atravessar o calçadão. Fica num 3º andar e o edifício tem 2 elevadores. O apartamento tem 2 quartos, um com cama de casal e o outro com 2 camas individuais. Na sala tem um sofá que depois de aberto dormem 2 pessoas. Nos meses de Julho e Agosto as entradas/saídas são efetuadas ao Sábado. Apartment was in a great location, at then end of the promenade of Quarteria, fantastic view of the ocean from the balcony. Beach was two minutes away, and lots of restaurants and bars within very easy walking distance. Mainly Portuguese holiday makers but this gave the whole area a friendly family orientated feel. It was great walking along the promenade of an evening, soaking up the atmosphere, seeing street entertainment and lots of craft stalls. Apartment itself, was ok, two bedrooms were clean and well fitted out, living room acceptable (though TV bit dated and also sofa bed). Bathroom and kitchen both need updating, but were acceptable, although if you plan to do a lot of self catering kitchen not really up to it. However, there is a big fridge freezer and basics (like toaster and microwave) if you just plan to make snacks and light breakfasts. Some concerns over exposed wiring on a few plug sockets which look quite old, so caution with any toddlers in the property. Pool at the property was great, we always managed to find a time when it wasn't too busy throughout the day. Poolside area clean, could perhaps do with a couple of umbrella's as no shade (or perhaps one left in the apartment for people to use). Pool is very deep though - even at the shallow end, but great to dive in to when it got too hot. Overall, a great place to stay, could do with a bit of modernisation, but very good value for money compared to other properties in the area. 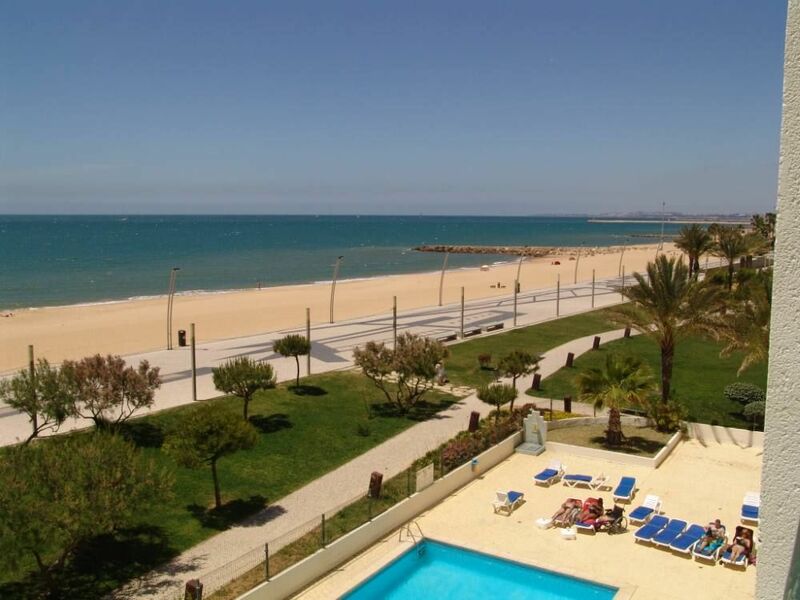 Great location ,great beach, great apartment, great pool . In a word..... GREAT. CENTRE VILLE UN PEU LOIN A PIED"